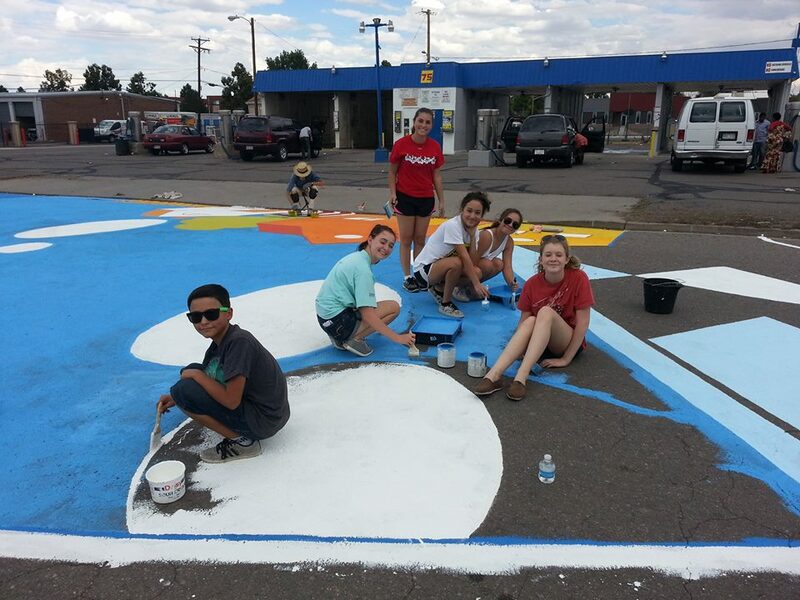 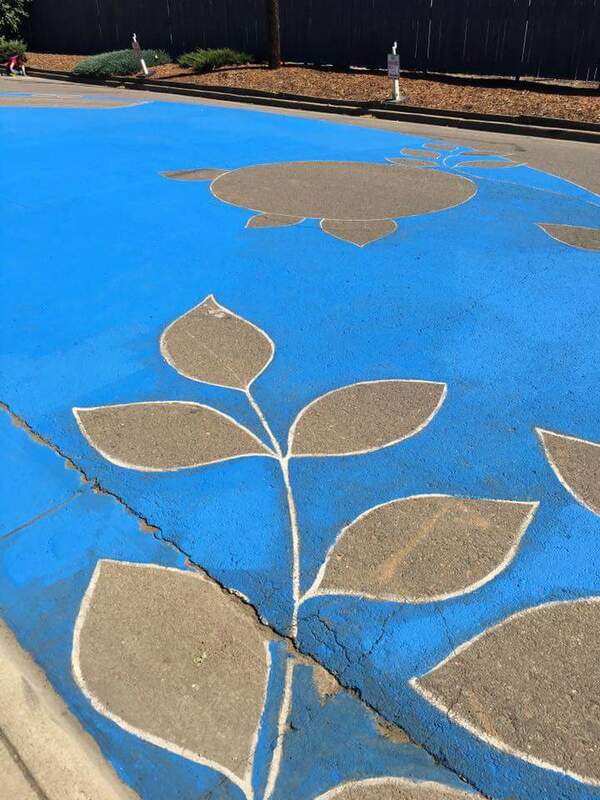 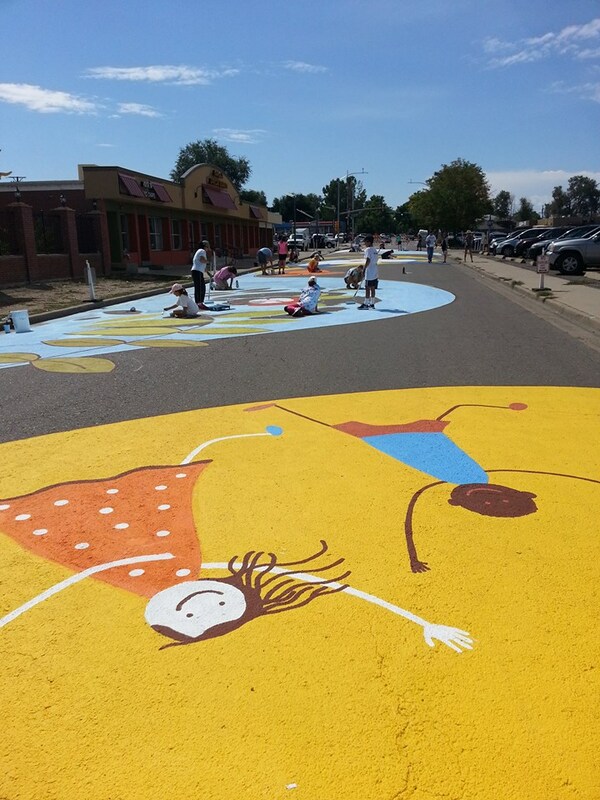 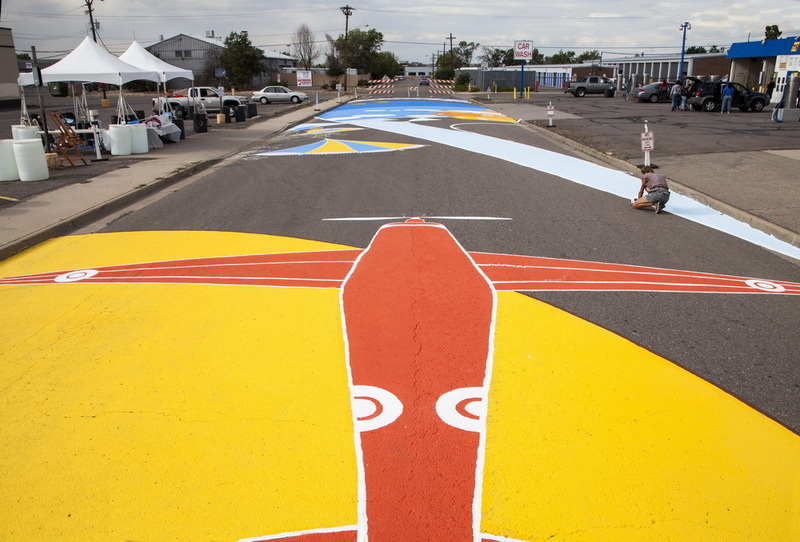 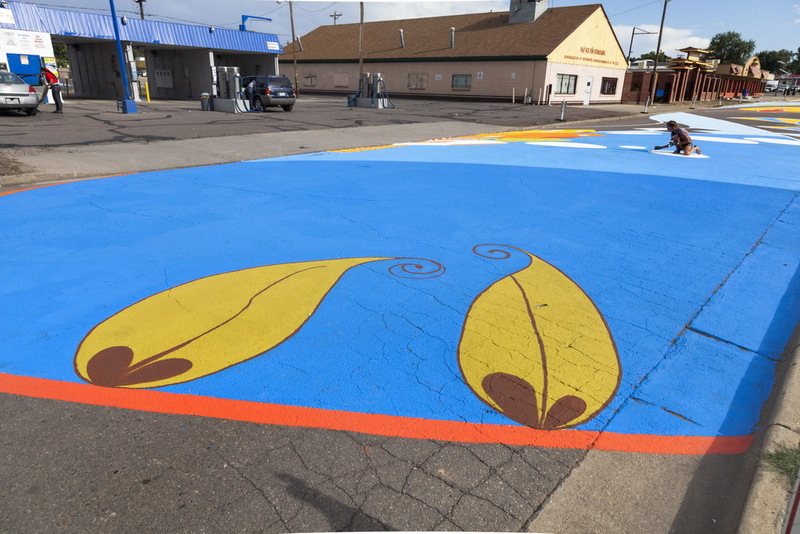 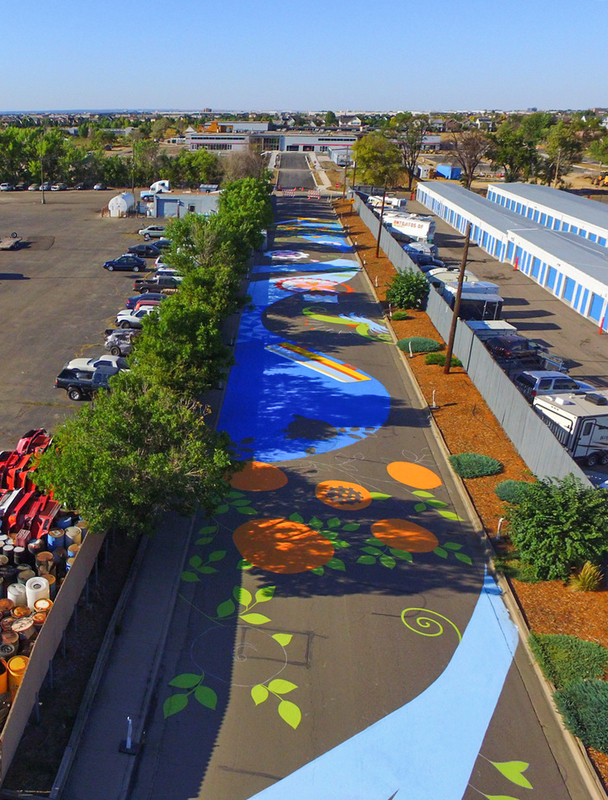 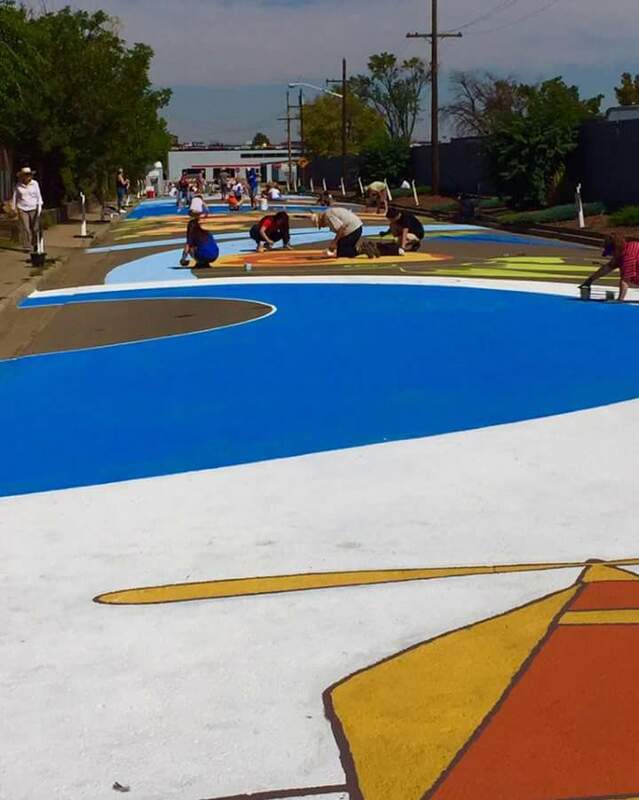 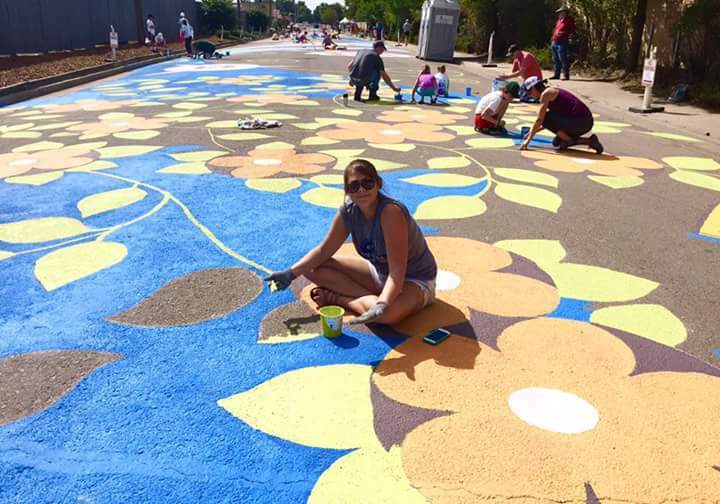 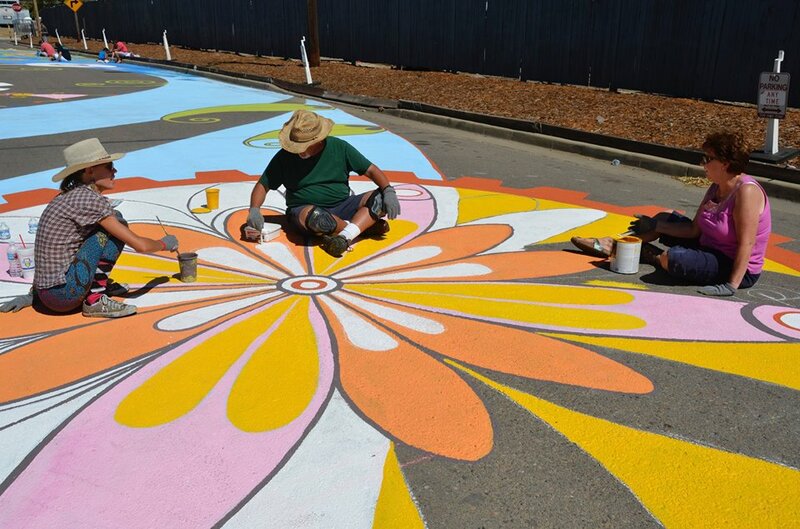 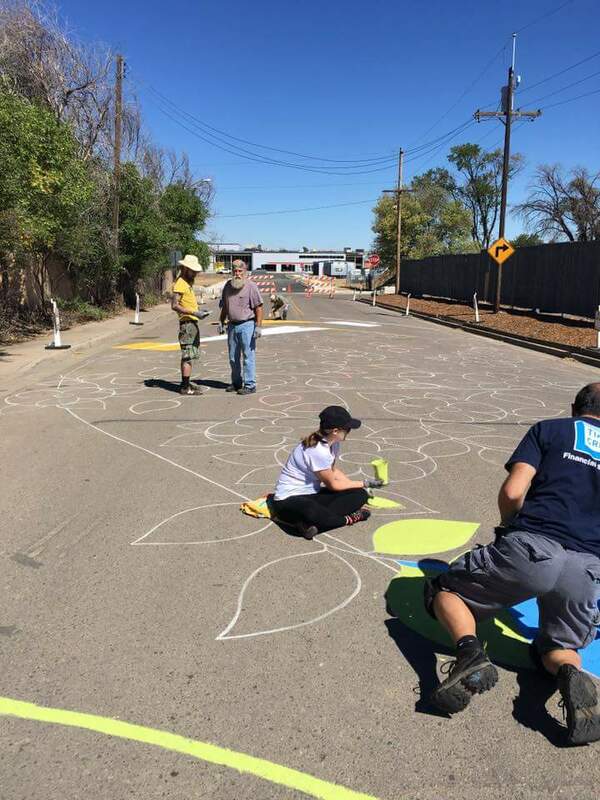 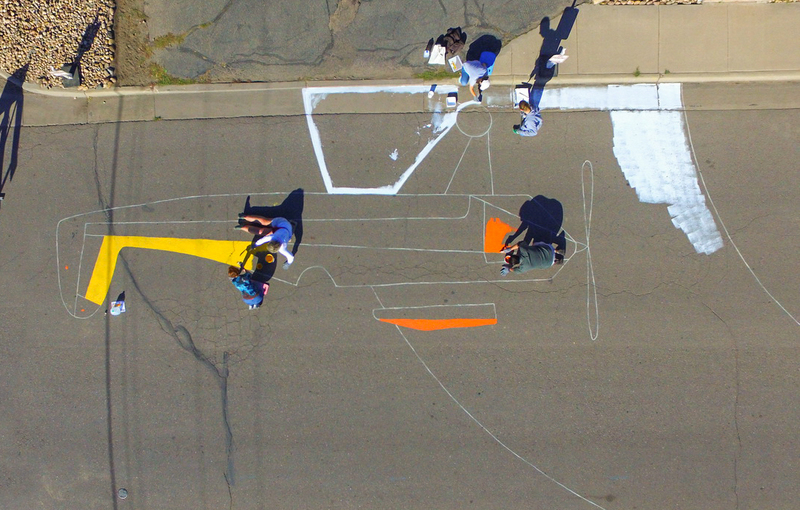 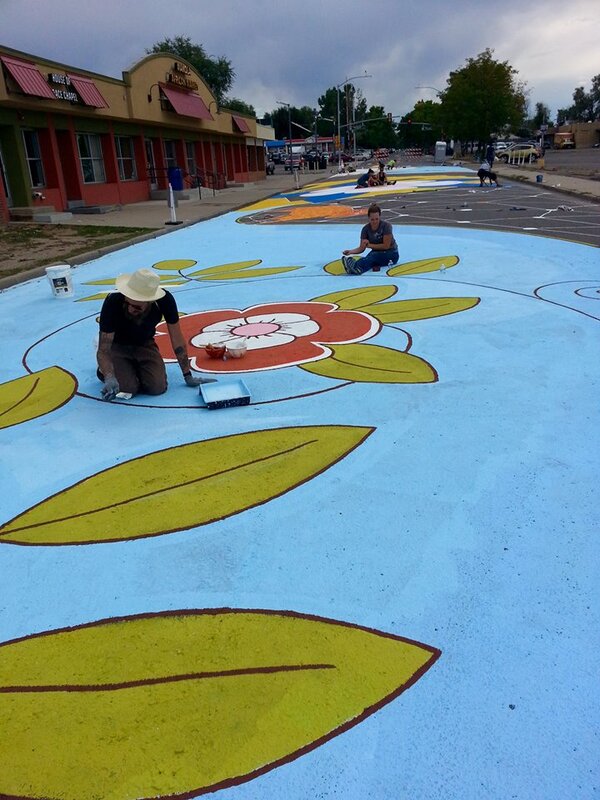 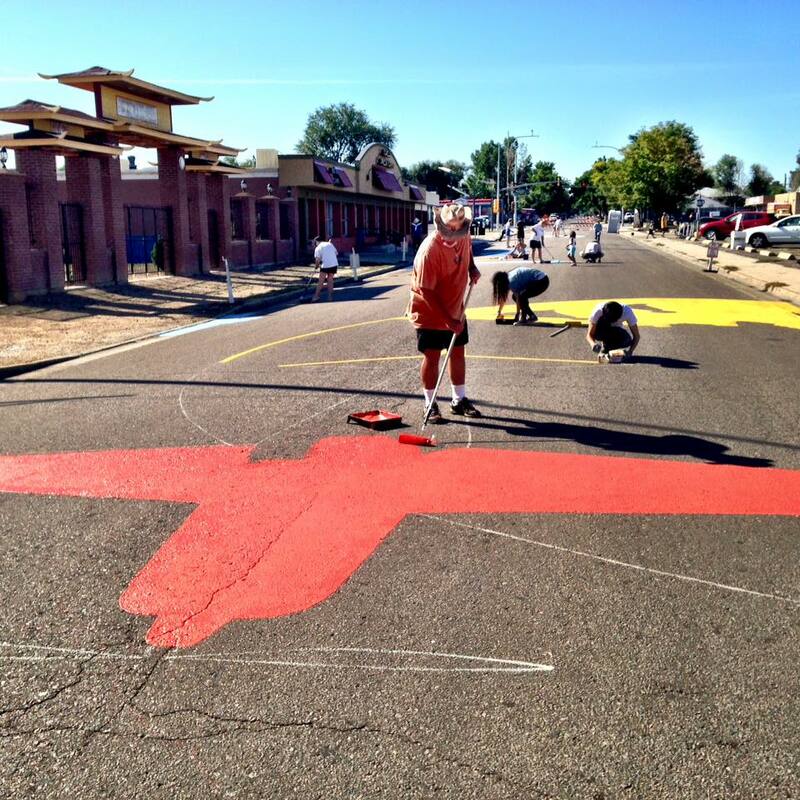 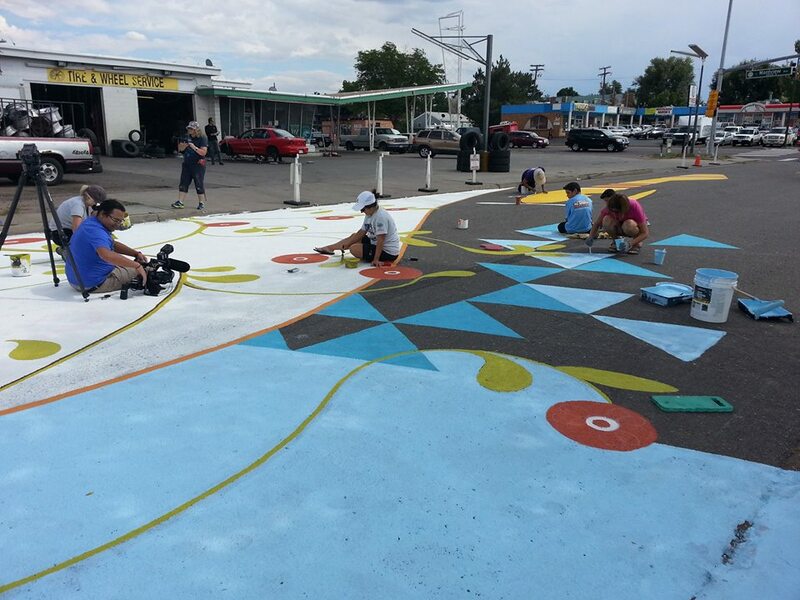 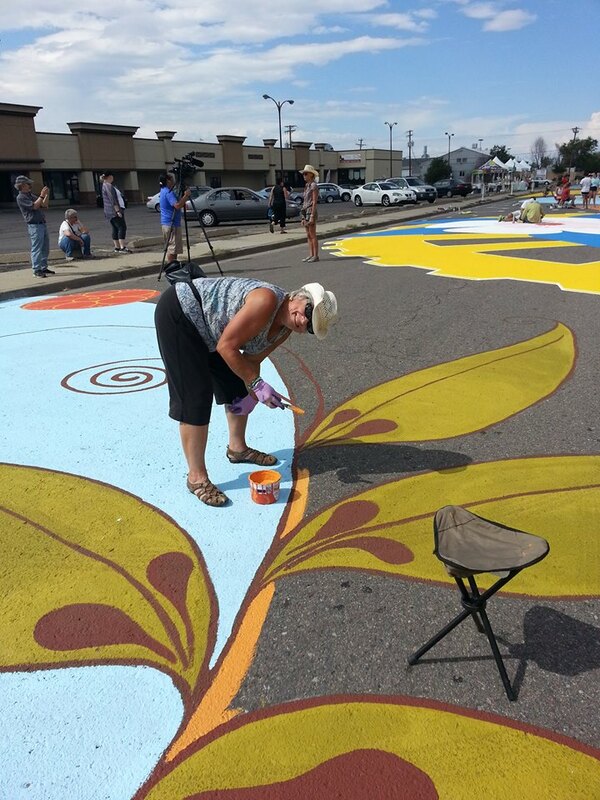 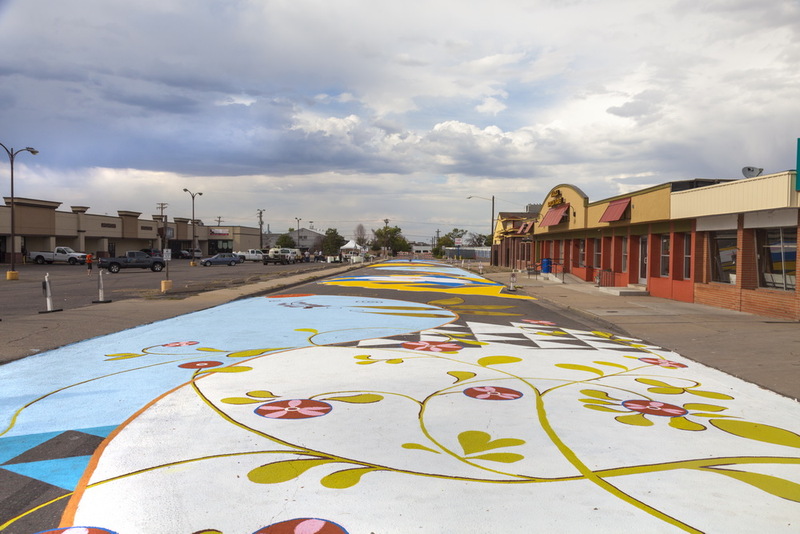 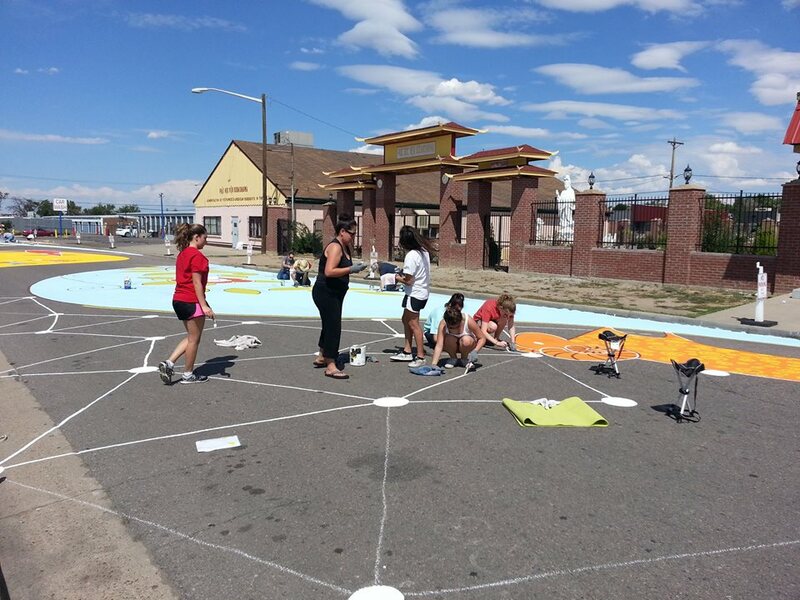 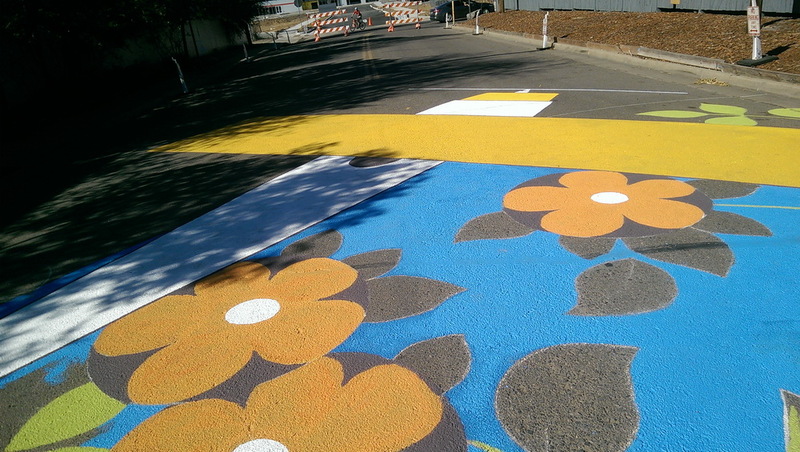 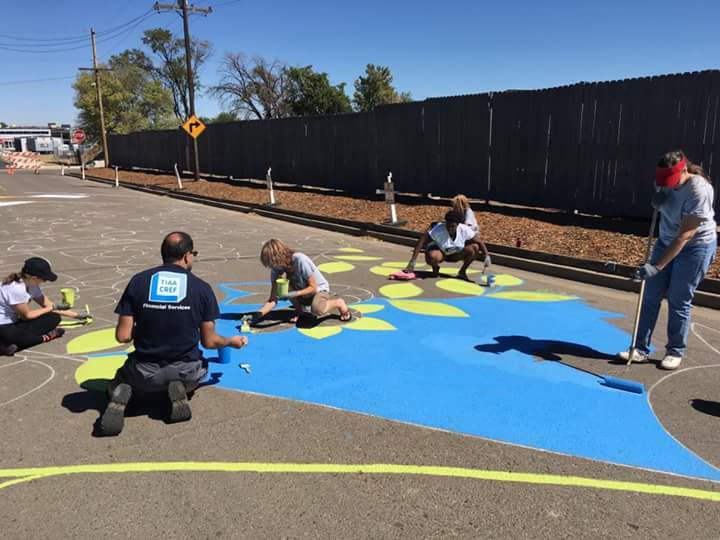 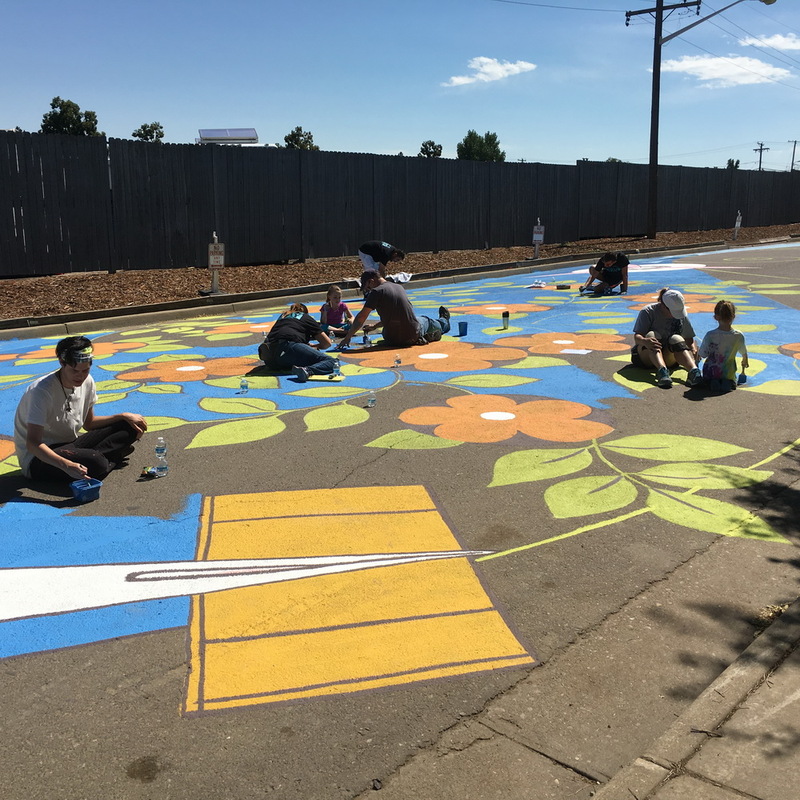 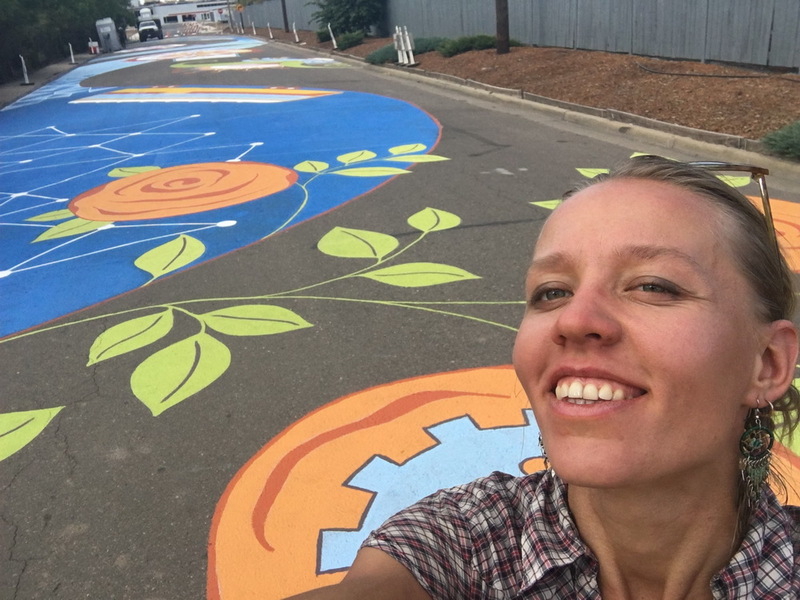 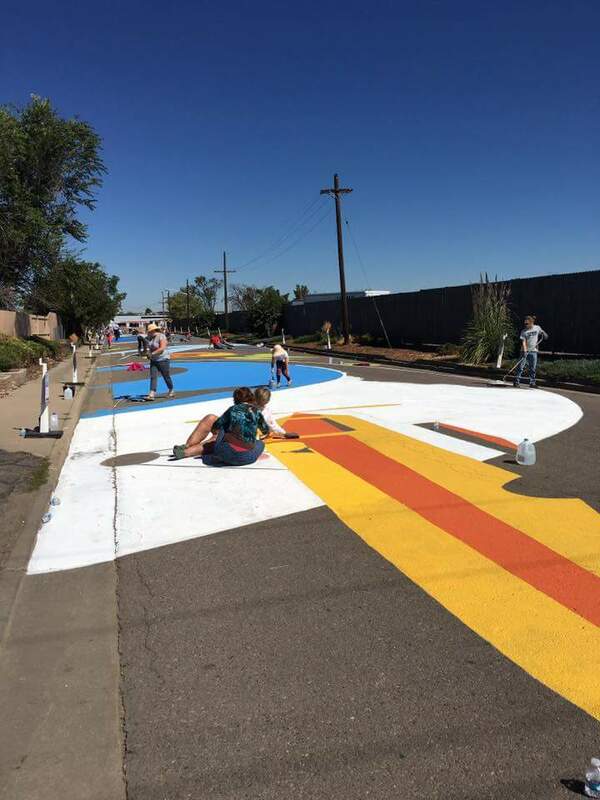 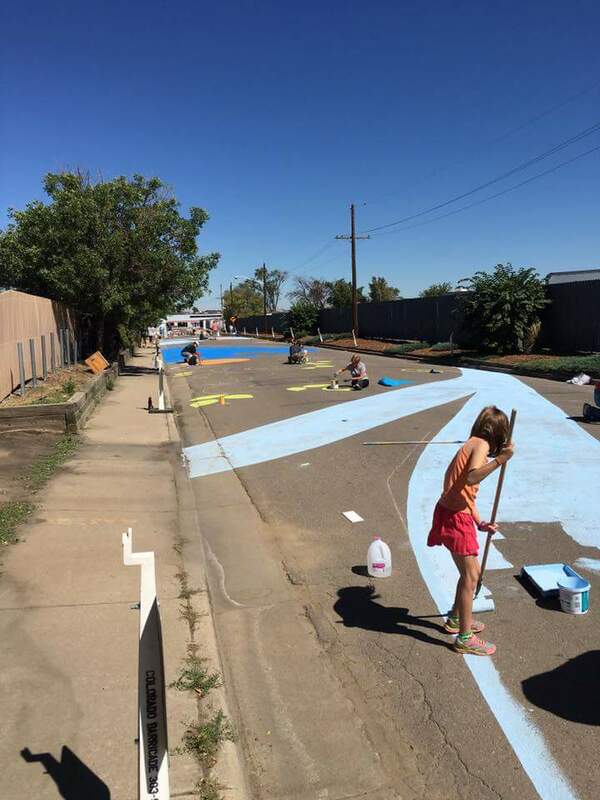 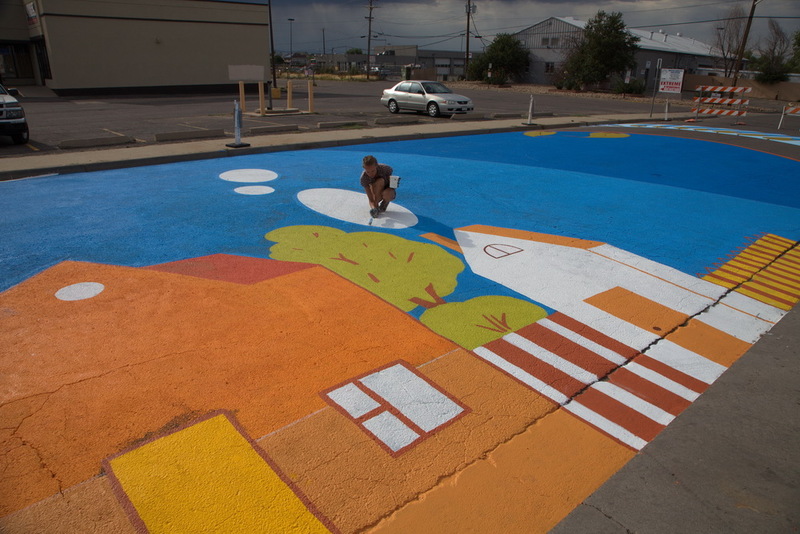 First street mural in Aurora, CO was painted directly on the pavement of Clinton street, between Montview Blvd and E 23rd Ave. 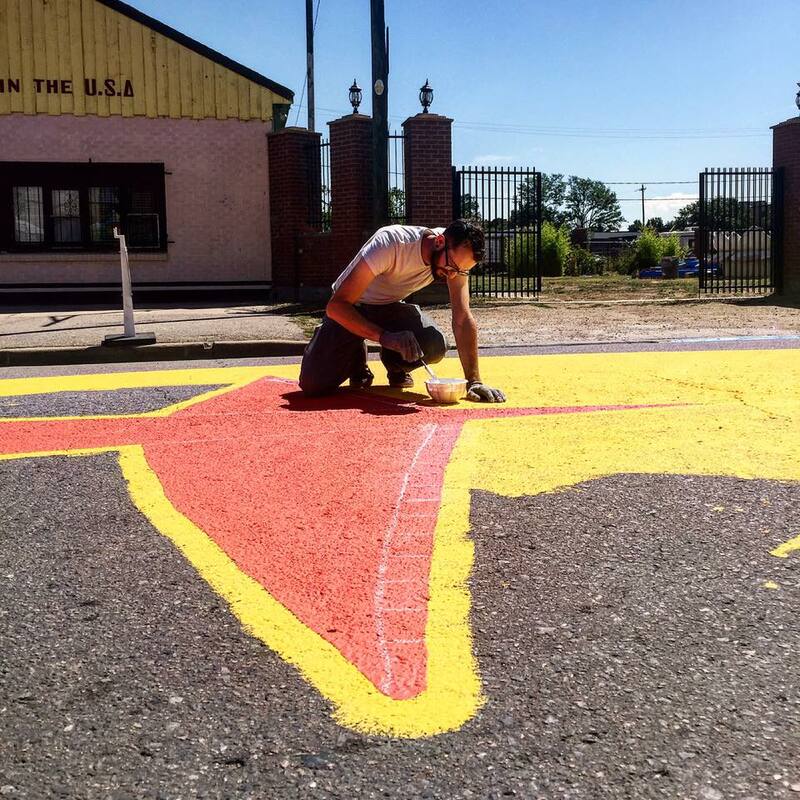 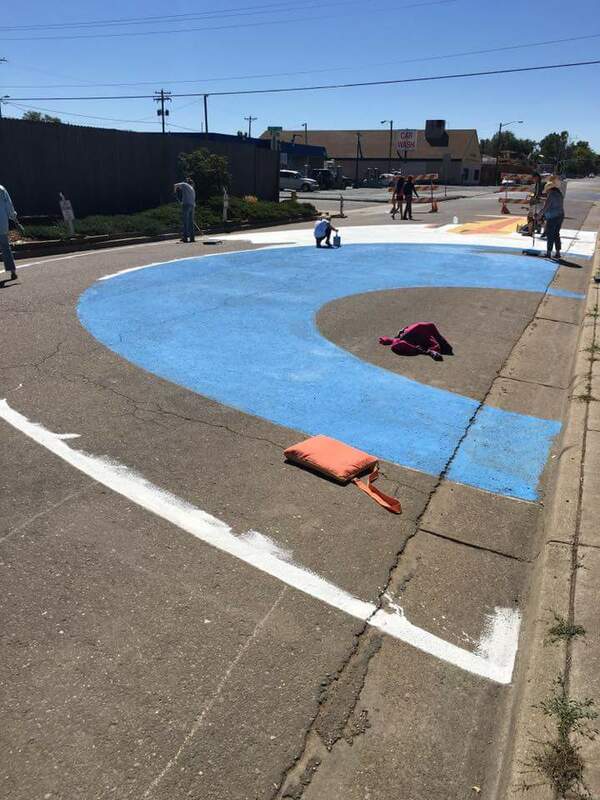 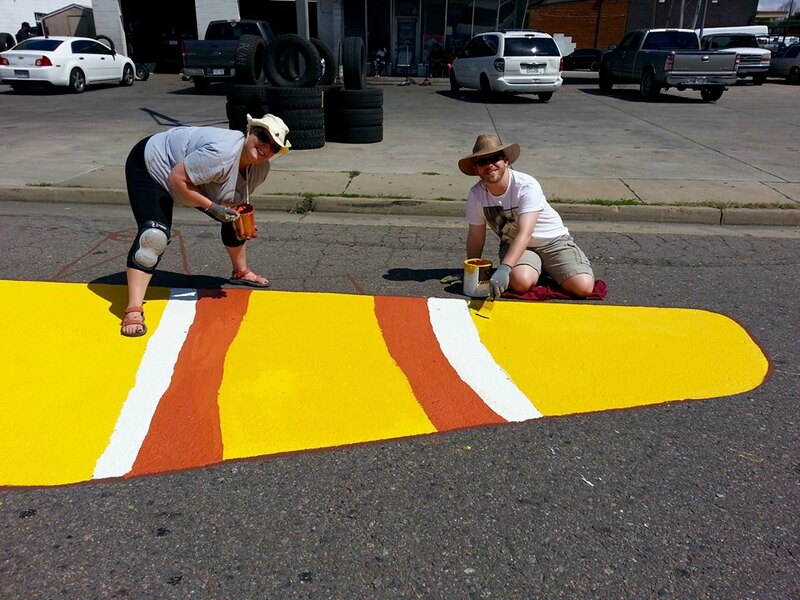 It was painted during two amazing weekends with the help of 350 volunteers from the surrounding communities. 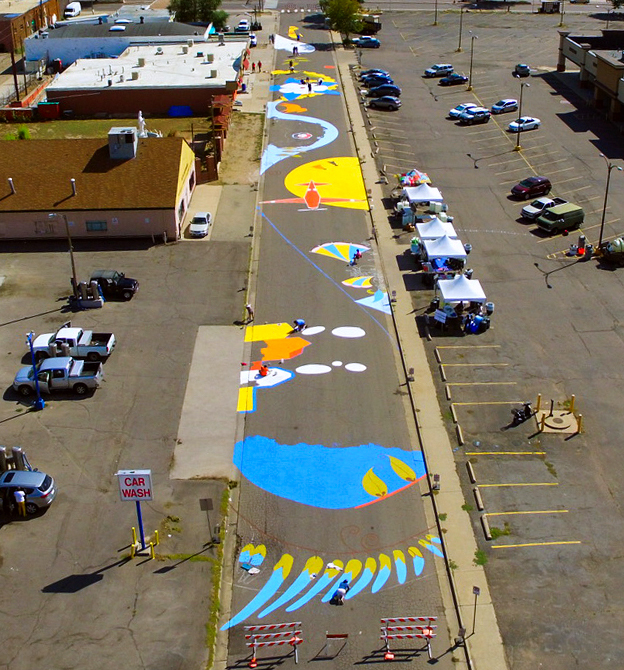 One of the biggest murals in Colorado came to life thanks to the commitment and diligent work of very many people. 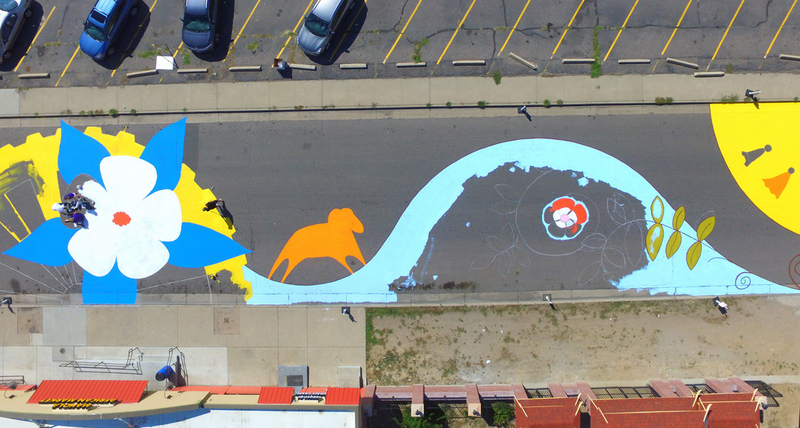 Aurora TV provided a drone to capture the process of the creation of the mural. 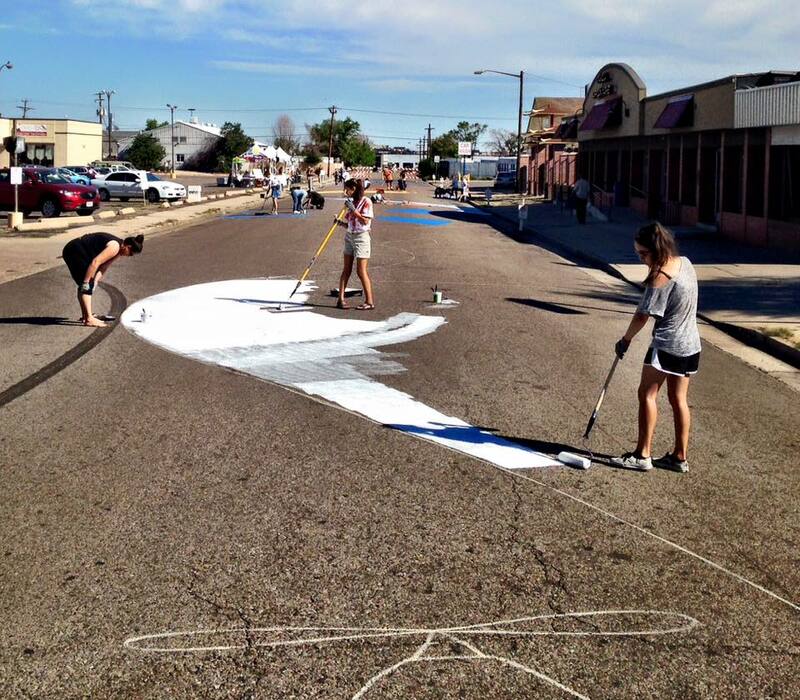 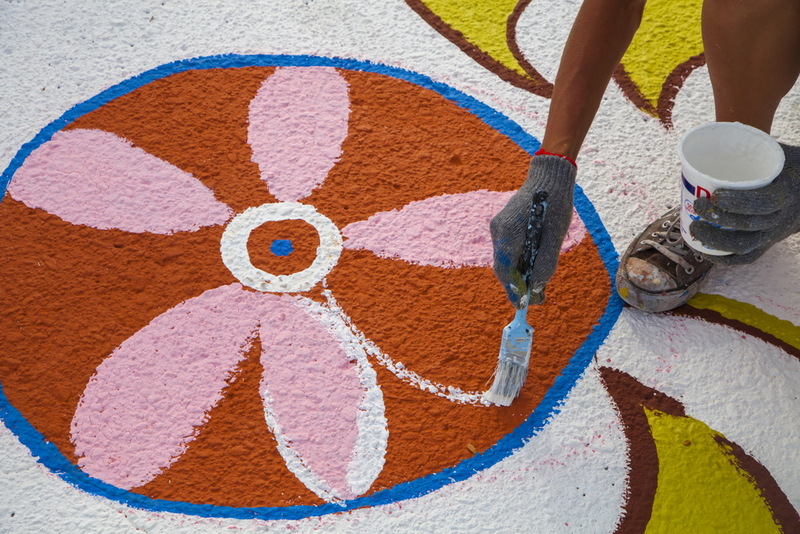 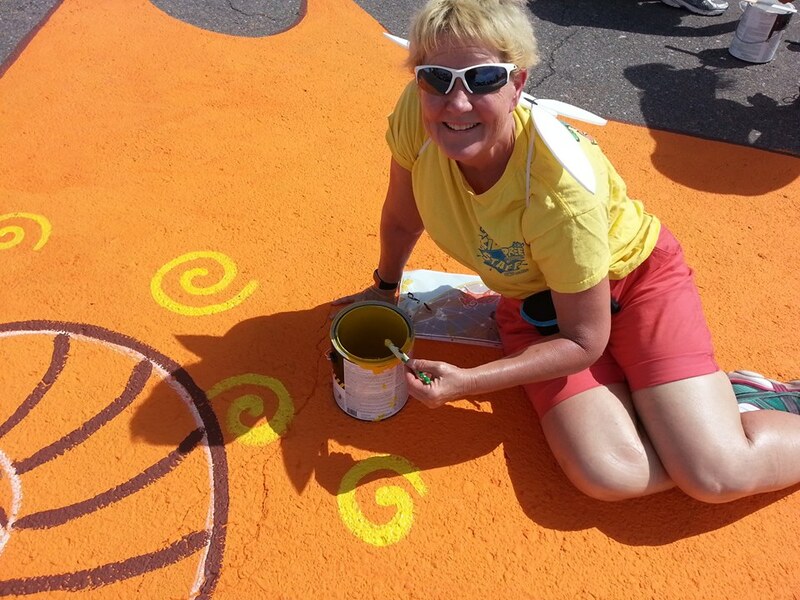 People from all walks of life had a lot of fun painting mural in their community! 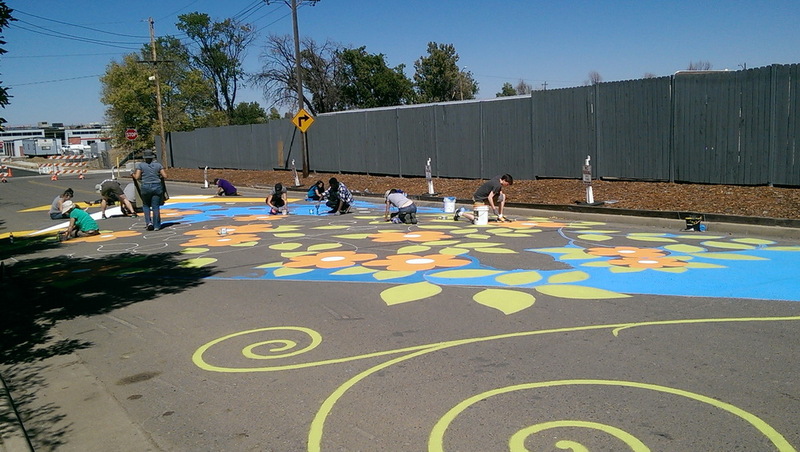 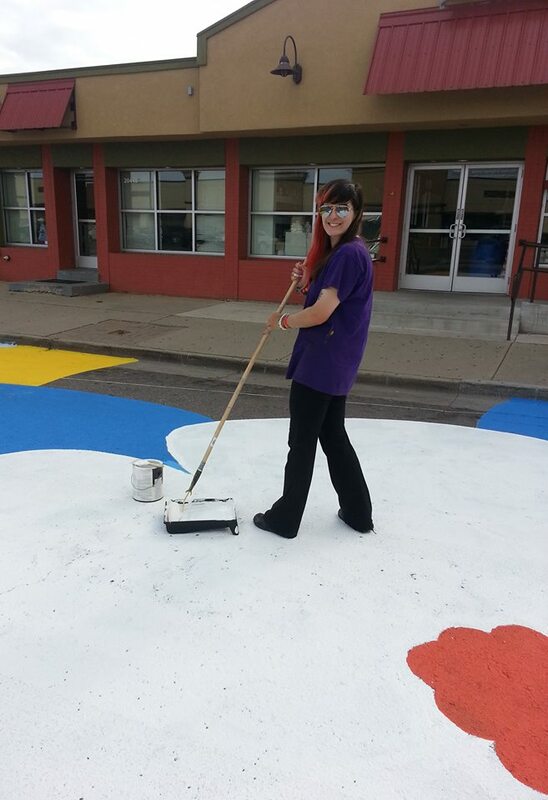 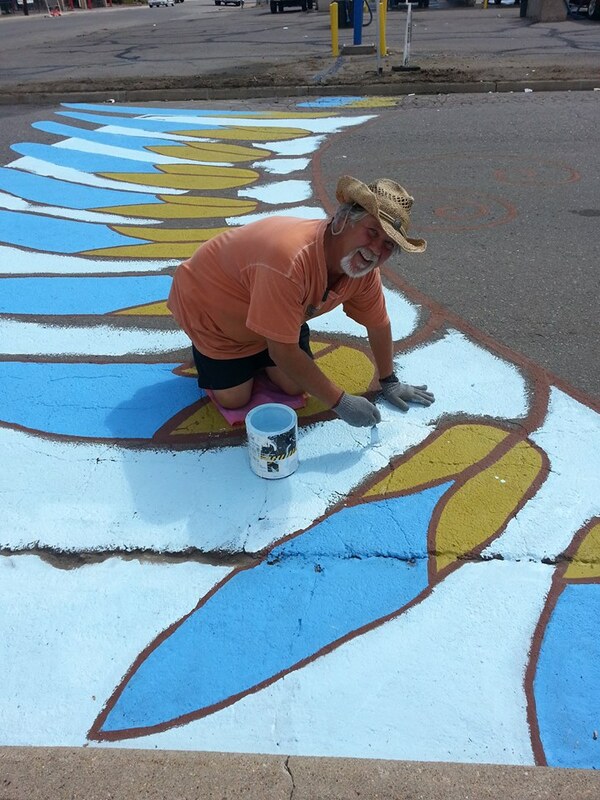 All volunteers worked with amazing dedication and did a fantastic job painting all the details and swirly lines! 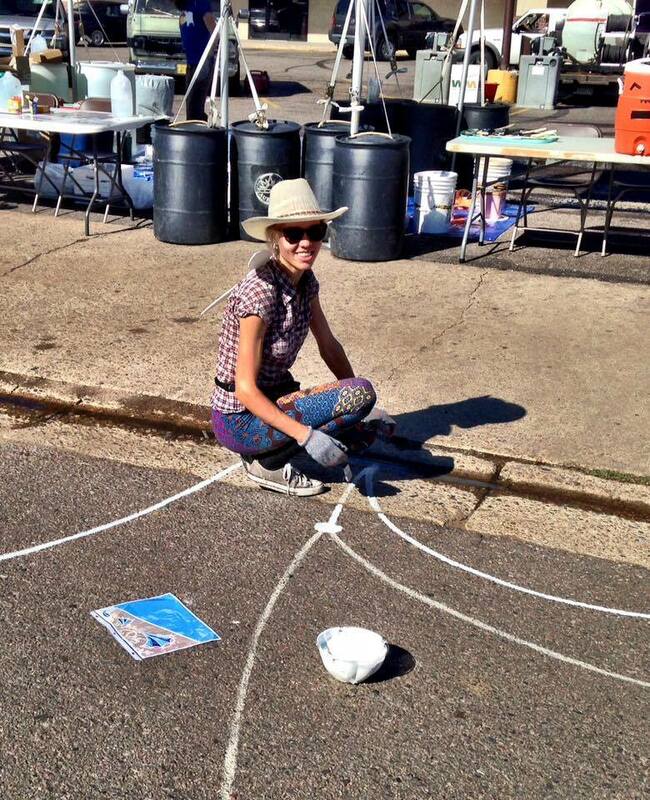 Huge smiles didn’t leave people’s faces while painting. 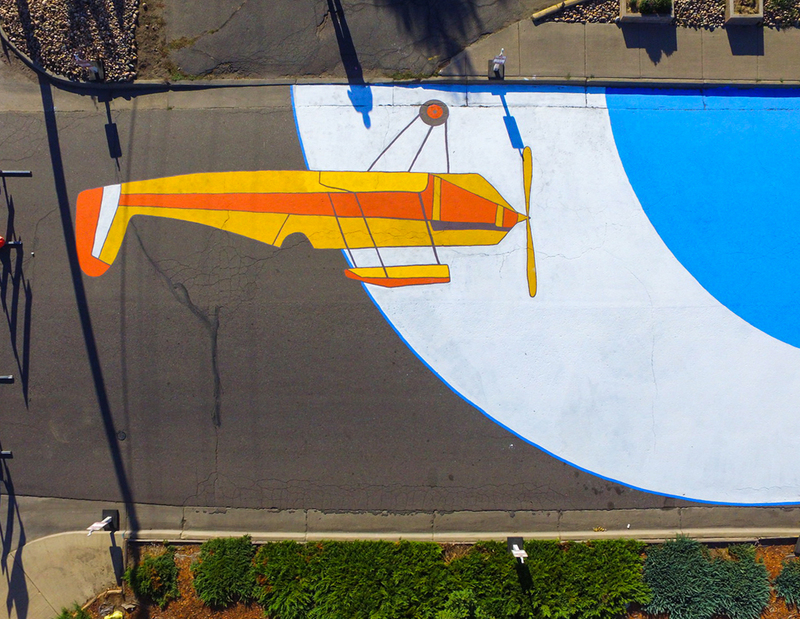 “Denver muralist Yulia Avgustinovich created the whimsical design concept that unites Stanley’s prior historical operations as an ejection-seat manufacturer with Aurora and Colorado history and the growth and redevelopment happening in the area today,” says Aurora spokeswoman Julie Patterson. 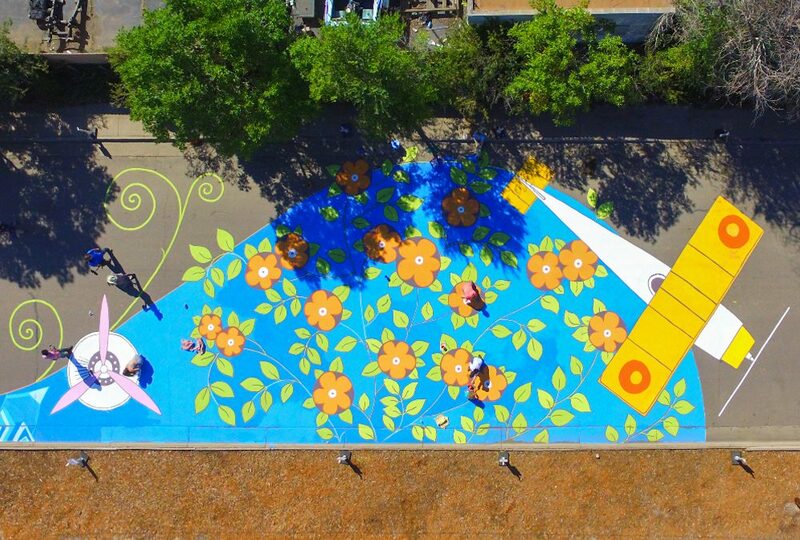 A massive mural woke up a two-block stretch in front of the Stanley Marketplace just in time for the CherryArts Festival, September 16, 2016. 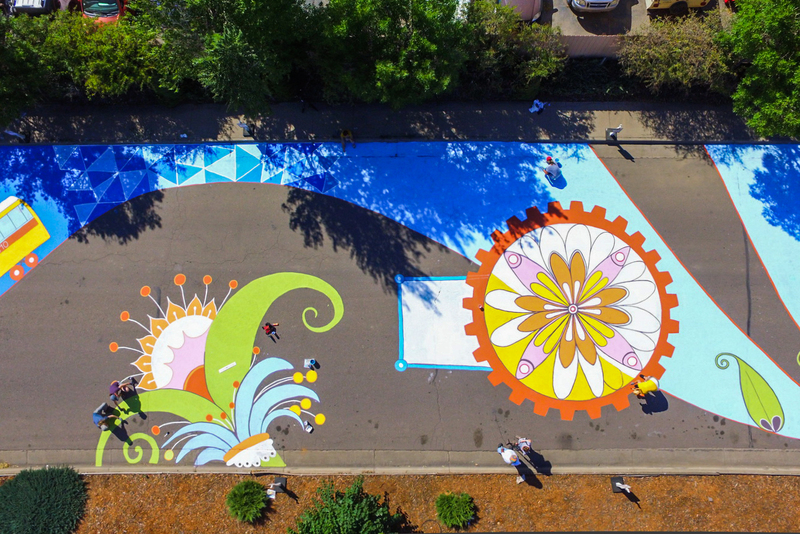 It took 35o volunteers, 360 pairs of gloves, more than 200 paintbrushes, 60 rollers and 180 gallons of paint to complete the mural. 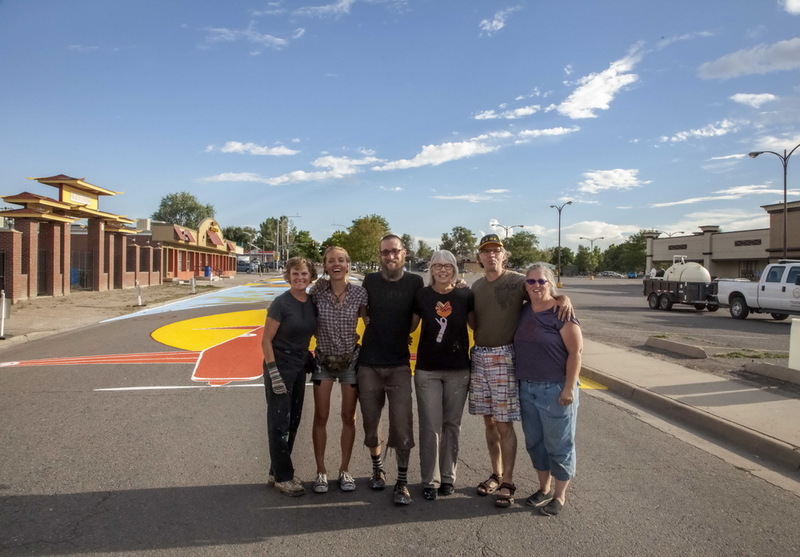 My amazing team: Peg Alt, Nick Angelo and his mom Ann Angelo and two hardworking and talented volunteers from the city of Aurora! 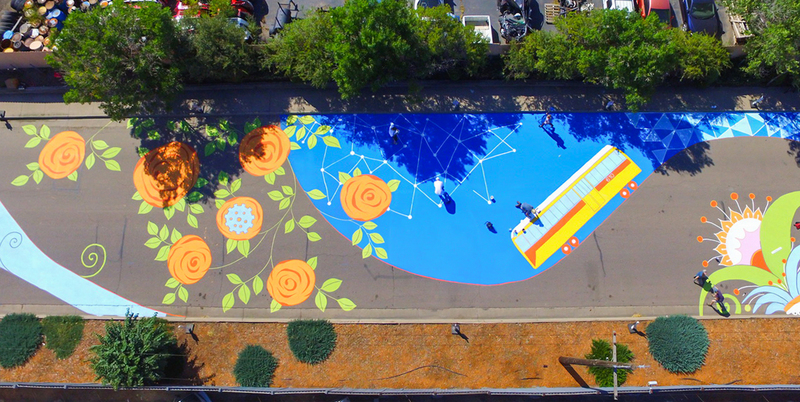 Huge THANKS to everybody who participated in this immense project! 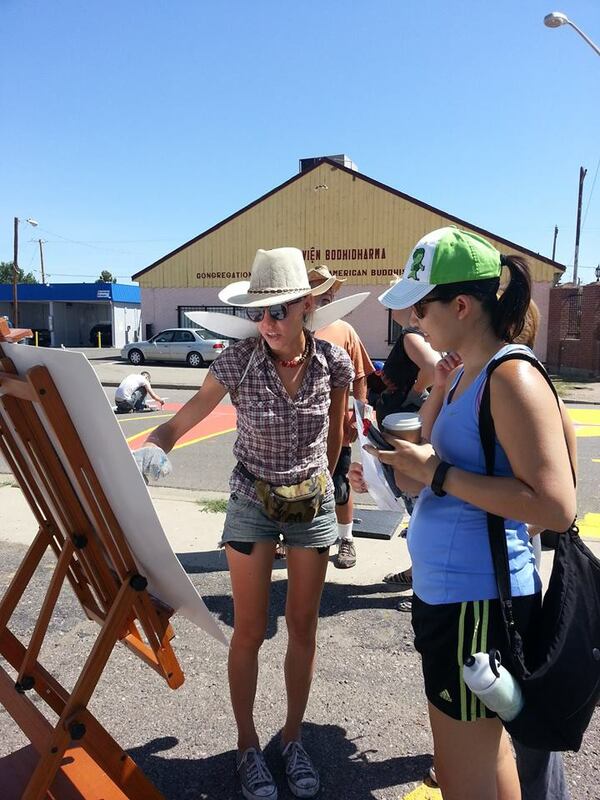 It was an astonishing experience! 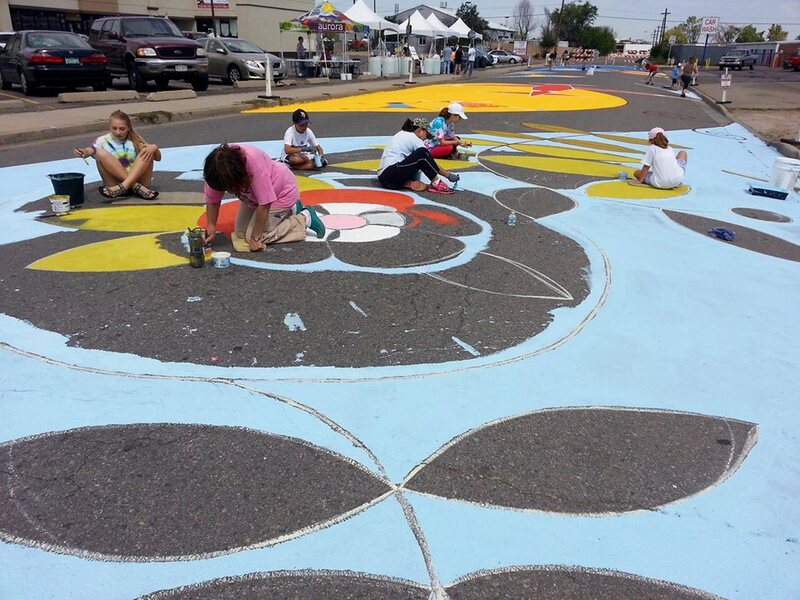 Pictures were made by: Nick Angelo, Aurora TV and the city of Aurora,CO.